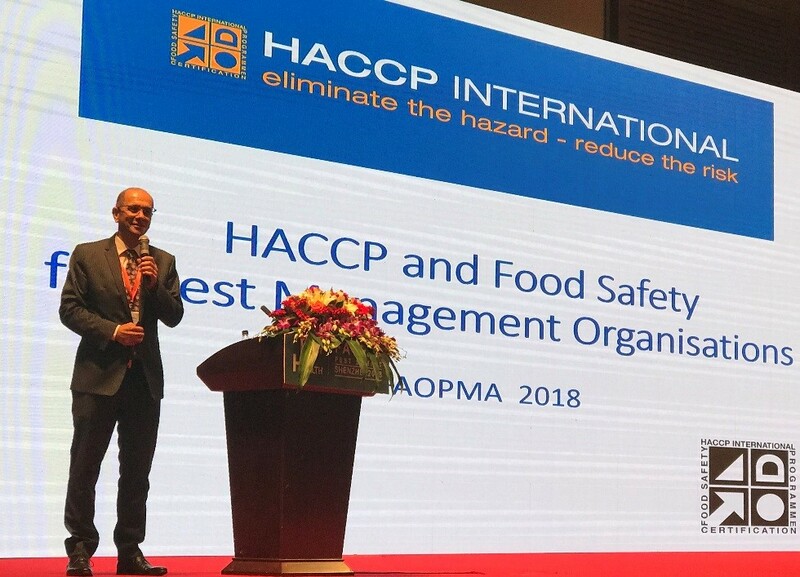 At the recent, well-attended, FAOPMA conference in Shenzhen, China, HACCP International’s Asia Pacific Managing Director, Bill Simos presented our new global standard – ‘Pest Management Standard for Food Businesses’. 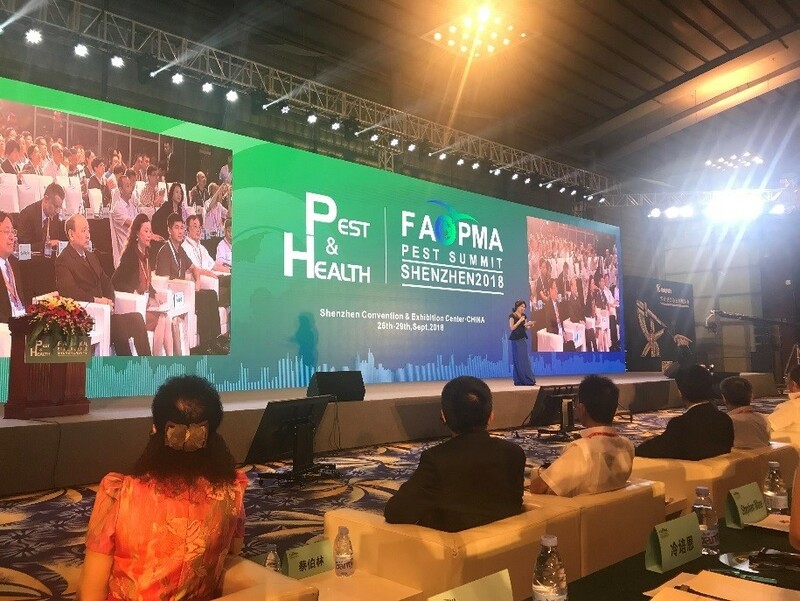 The Federation of Asian and Oceania Pest Managers’ Association (FAOPMA) held their annual convention in September with the international event theme being ‘Pest and Health’. It drew 1200 attendees this year – a remarkable number including PMOs, suppliers and other interested participants from all over the world. The quality of speakers FAOPMA’s organisation as well as exhibitors guaranteed a successful event which focused on the latest technological developments and challenges facing the pest control industry. HACCP International’s new practice representing world’s best practice in the delivery of pest management services to the food industry received a lot interest and enquiries as to the certification process. 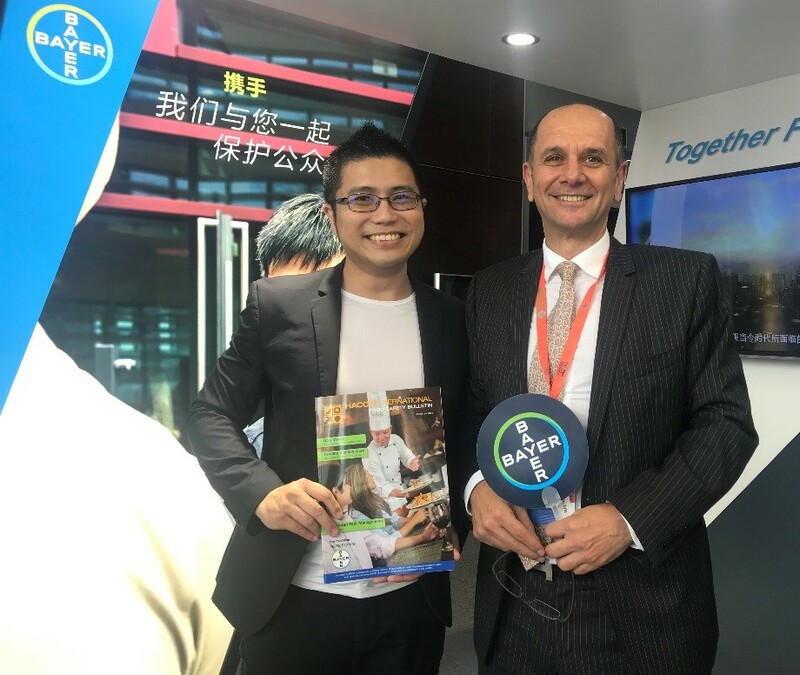 Said Bill Simos, “It was great to be engaged with so many professionals – many of whom see the food industry as an important component of their business and who wish to prove their ability to meet the demands of HACCP food sites”. FAOPMA was founded by several industry leaders from within the Asia region in 1987 with the common goal of advancing the pest management industry throughout the region. This annual event grows every year and now has more than 100 companies exhibiting products and services to the 1200 plus delegates. Exhibitors included a number of suppliers to the industry whose product ranges include some excellent pest control products that are food safe and designed specifically for use in the food industry. In particular, certified food safe products and equipment from Bayer, BASF, Green Drain, Sumitomo, Syngenta and Starkeys were on show. It is worth noting that the Asia and Oceania membership of FAOPMA now represents the pest control interest of more than 4.0 billion people! That’s makes for a lot of food that needs to be kept free of pest contamination! 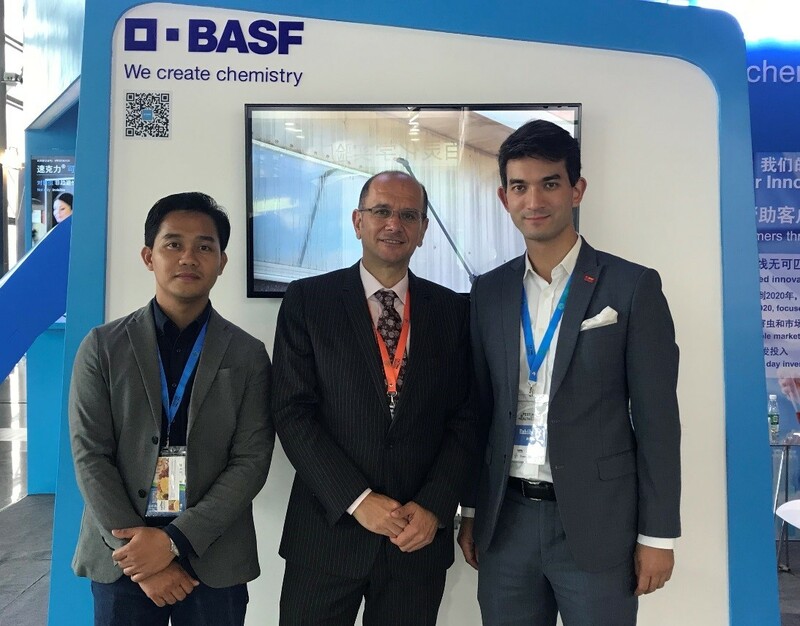 BASF stand – Left to Right: Mr Junve Pancho of the BASF Philippines, with Mr. Bill Simos and Mr. Marc Poetzsch of BASF China. Creating new chemistry with food safe products certified by HACCP International. 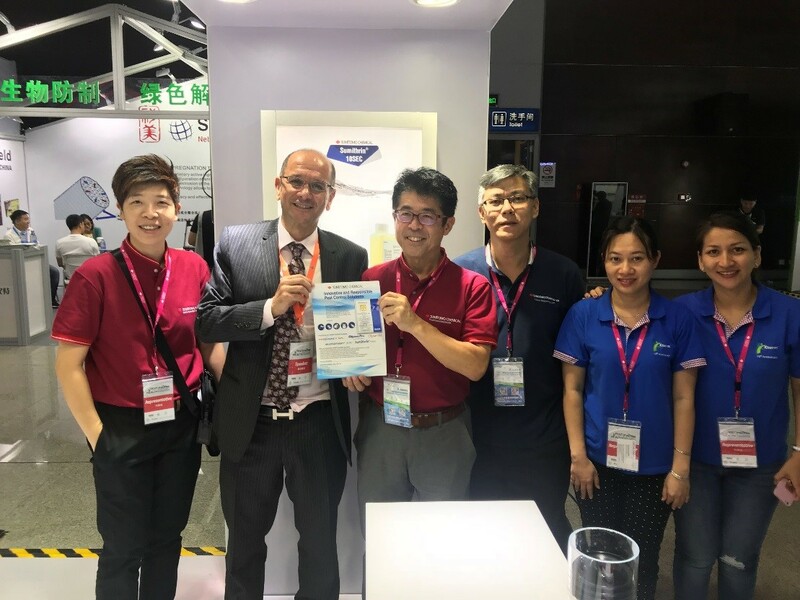 Sumitomo stand – Left to Right: Ms Thanyathorn (Sally), Mr Bill Simos, Mr Takatoshi Karino, Mr. Cow Kwee Lin, Ms. Nguyen and Ms Ian. Happy to be displaying a range of HACCP International certified products. 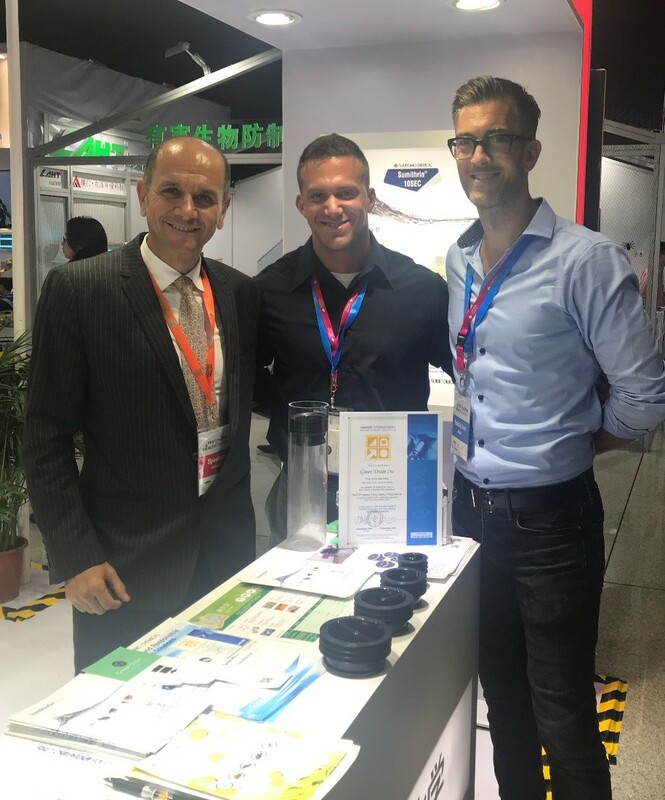 Green Drain stand – Left to Right: Mr Bill Simos with Mr David Patterson and Justin Granath of Green Drain getting to the bottom of things and very pleased to be carrying the HACCP International mark!